Травень – Місяць Пресвятої Богородиці – Пречистої Діви Марії. 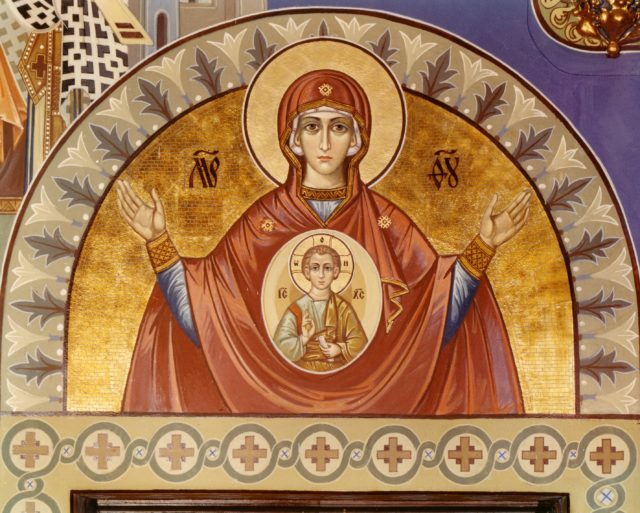 Every weekday during the month of May the paraklesis service to the Most Holy Theotokos is served at 6:00 in the evening. We welcome all to come participate in this service, to show our love and veneration of the Most Holy Mother of God. On Saturdays at 6:00 in the evening it will be Vespers followed by the akathistos, on Sundays at 6:00 in the evening it is the Divine Liturgy followed by the akathistos.